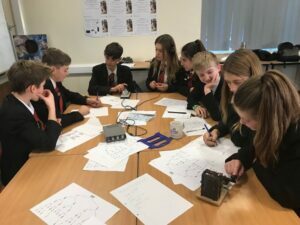 You may have noticed in the November Edition of RadCom that Sandringham School were going to be the first holders of the GB17YOTA callsign this year. Youngsters on the Air (YOTA) is a yearly event arranged between IARU Region 1 and the RSGB. 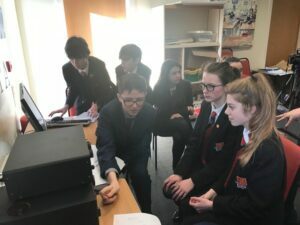 This is the fourth year it has been supported by the RSGB and it encourages young people to experience the excitement and diversity that amateur radio has to offer. Clubs, groups and schools throughout the IARU Region are encouraged to take part, all of them using special callsigns. VARC has a close working relationship with Sandringham School and Head Teacher Alan Gray (G4DJX) is a member of the club. In 2016 we worked with the school during their highly publicised ISS Contact in January, some training throughout the year and then the YOTA event in December. 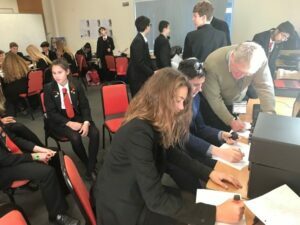 The school now have their own radio club and shack with a growing number of licensed operators many of whom became interested in amateur radio after taking part in the YOTA event. 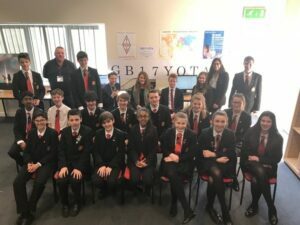 Back to December 2017, and being the first school to hold the GB17YOTA call-sign we wanted to make sure that everything went according to plan. 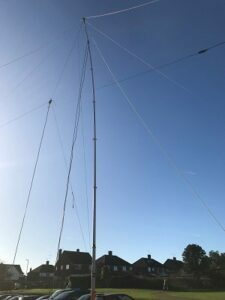 We decided to set-up the station the day before so Peter King (G0OIK), Peter Baker (G4HSO) and myself arrived in the afternoon to install the yellow pump-up mast with dipoles for 20 and 40 metres, and a 2/70 co-linear. We knew that a lot of the new licence holders at the school used handheld radios and we wanted to give them the opportunity to get involved. In the classroom designated as the shack we used a Yaesu 897 for VHF/UHF and the clubs Icom 7300 for HF. We also used our linear amplifier, ATU and power supplies. We got most of the equipment installed on Thursday but had to leave a couple of items until Friday morning as it was getting too dark and cold to be messing around outside. Peter (G4HSO) was first to arrive at the school on Friday morning and quickly finished off the last few items of work. We were ready to operate at the beginning of the school day when the first group of students arrived. Our first contact was to a VK station (Brisbane) who was able to hear us clearly over the pile-up he was working. A couple of the students sent a greetings message before we moved on to find on operating frequency to start putting out calls using the GB17YOTA callsign. The school operated the station using HF and VHF throughout the day. Students were allowed to take some time out from their lessons to come and get involved. To keep things interesting, we operated some Morse sessions and also showed how APRS can be used to track locations and weather reports. A lot of the students had the opportunity to send greetings messages and to get an introduction to the hobby. The licenced operators at the school also took part and it was great to see the pride they had when showing their peers what they were doing. We noted also that a lot of students asked if they could come back during their break and lunchtimes to see some more. By the end of the school day, the school has smashed last years QSO total and were planning to continue operating from their own shack. Roger (M0RBK) and David (G4HHJ) were on hand to assist with the dismantling of the station and we left the school just before the main rush hour. Contact had been made with several other YOTA stations around the IARU region which helped to deliver the message that the hobby is for people of all ages. Alan tells me that he has another list of students looking to study the Foundation Course early in 2018. We also have a set of students who have passed their Foundation and are looking forward to starting their Intermediate Training too.